A fun and quirky lidded storage jar from Shannon Bridge in pottery. 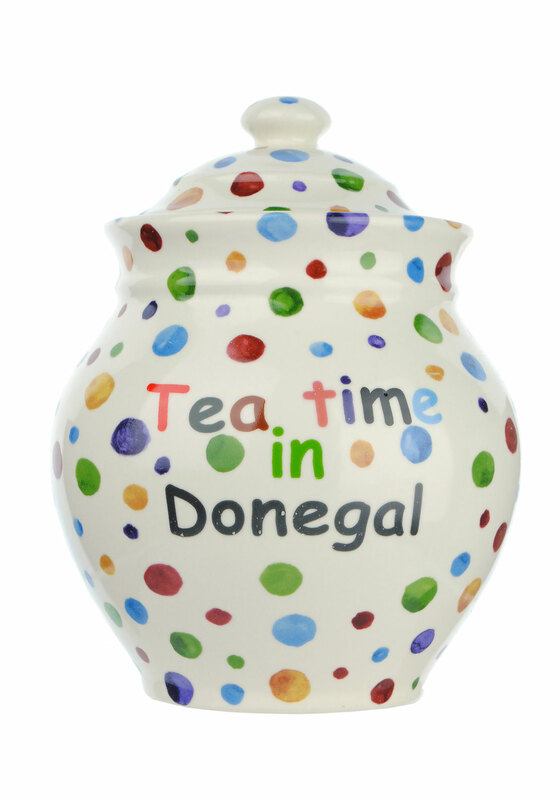 Presented in cream with a funky painted multi-coloured dots and the text “Tea time in Donegal” to the front. 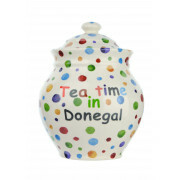 Beautfiul piece that is handmade and hand painted in Ireland.